This is perhaps the closest I will every get to Haile. 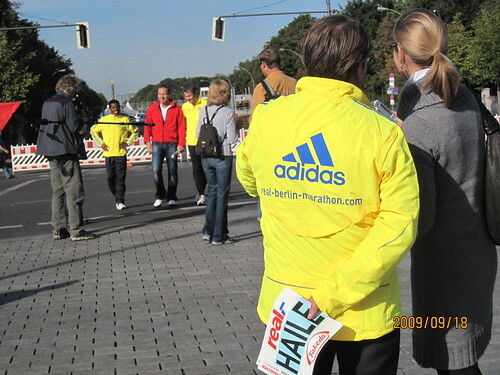 I was 'sight seeing' around Brandenburg Gate and stumbled across Haile. 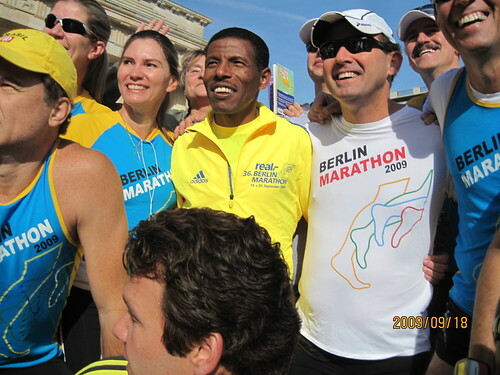 Marathon organizers were doing a promo film of sorts and presented BIB to Haile. I was fortunate to be part of the ceremony. Here are few snaps from the 15 minutes ever I will be in the vicinity of Haile. 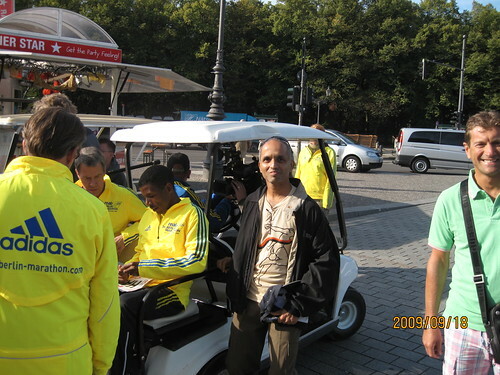 Bunch of runners from Brazil also spotted Haile and invited him for a photo.. I joined the crowd as well.. but my self portrait missed me by miles..!!! 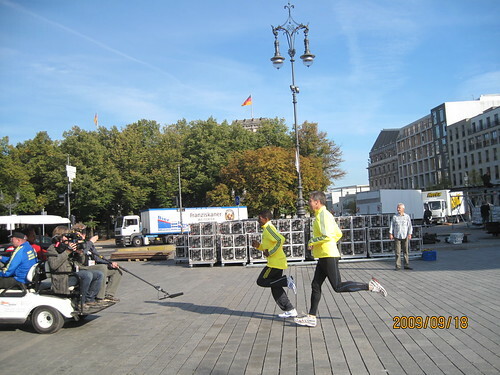 Here is the moment anyways..
Promo included Haile running through the famous Brandenburg Gate. I overheard Haile saying that he is well prepared for the marathon and wanted to do his best.. Is he going to break the world record this Sunday..?